Captain Stormfield on his wild, cosmic trip to Heaven. Mark Twain is my idea of a genuinely true genius, Literature & Philosophy Div. 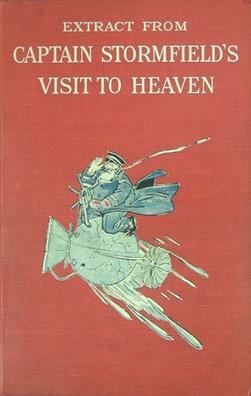 In his largely forgotten but high-quality fantasy *Captain Stormfield’s Visit to Heaven, the reality of Heaven turns out to be nothing whatsoever like anybody who ever lived imagined Heaven would be. Especially white people like Captain Stormfield. Donald Trump would be in for a similar shock, but he need not worry his orange head one bit about ever seeing Heaven anyway. *See here or go here to read the whole, fun yarn.